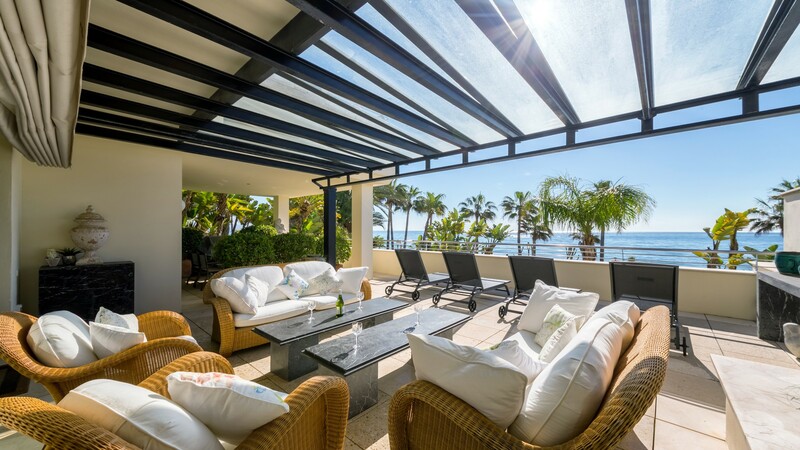 What could be better than beachside living in Marbella’s most sought after area: the Golden Mile. Beautiful white sandy beaches, clean water, the trendiest Chiringuitos playing summer beats, palm trees swaying, the beautiful view over the mountains from La Concha to Gibraltar over to Morocco. Walking distance to the best Michelin Star restaurants and beach clubs, shopping boutiques, SPAs, the renowned Marbella Club Hotel and famous Puente Romano Hotel. 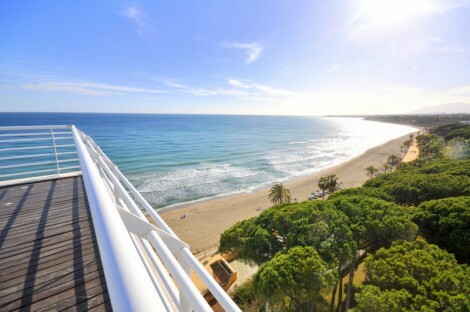 Stroll on the famous promenade that runs from Marbella to Puerto Banús. Beachside living on the Golden Mile offers a hassle free, relaxed paradise living experience with everything you could wish for at your front door step! You decide whether to spend your days lazily in your pool or tanning on a sunbed on the beach, listening to the never ending sound of the waves. Are you going to enjoy some ice cream now, go to one of the organic cafes or treat yourself to Dani Garcia? The Golden Mile isn’t called golden for nothing. It is the sole combination of any kind of luxury you could dream of, ready to fulfil all your biddings. 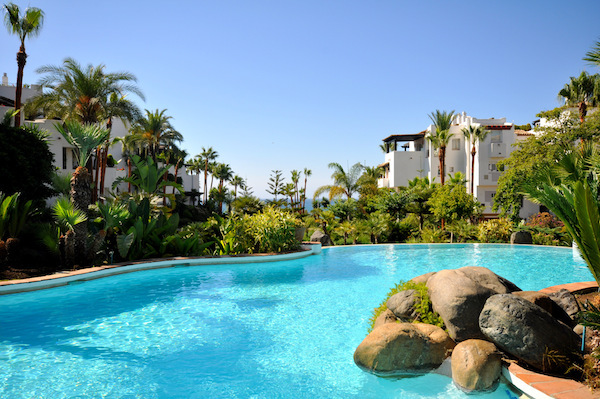 All residential communities located in Marbella’s Golden Mile come with a high standard of living and exclusivity: pools, 24 h state-of-the-art security, gym, AC, under floor heating, walk in closets, concierge service, parking, gardens, pools, and everything you could wish for.